But what if someone could guide you, step-by-step, as you identify, plan, and launch your dream career-in just one year. That's what Ben Arment does in his transformative coaching class, which has helped hundreds of people reinvent their lives to enjoy greater enthusiasm and fulfillment while also making a living. 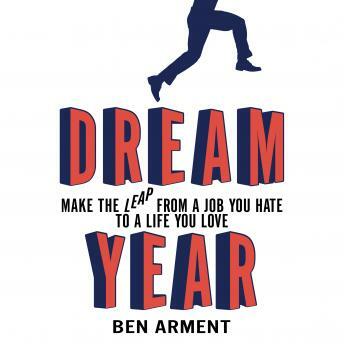 Now he's sharing his best insights, advice, and inspiring true stories in Dream Year. You'll find out how people just like you are discovering (or rediscovering) what they were truly born to do, then following a proven process to make it real. And you'll meet men and women such as . . .